This report is the culmination of a year-long market assessment focusing on the opportunities and challenges facing small- and medium-businesses (SMBs) in Chicago, particularly those owned by women and people of color and those operating on the south and west sides of the city. The core research team included CRF and Next Street, a mission-driven consulting firm serving small businesses, nonprofits, and the organizations that accelerate their success. We would like to thank the sponsors of this research, The Chicago Community Trust, JPMorgan Chase & Co., and Polk Bros. Foundation, who provided generous support and served as important advisors throughout the research process. In order to provide a comprehensive overview of Chicago’s SMB ecosystem, CRF and Next Street sought to capture relevant data and direct perspectives to inform long-term strategic priorities that could enhance opportunity and access to resources for business owners in the city and surrounding region. Fill a void in available market data and provide insights on small businesses, with a focus on women and people of color. 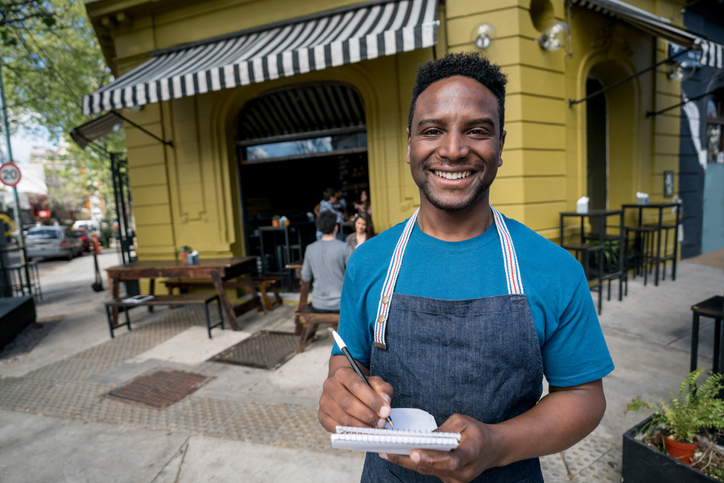 Improve the understanding of SMBs within specific industries and neighborhoods, in which other interests, development efforts, and funding are already directed. Establish an understanding of the landscape of capital providers (debt and equity) and business service organizations that cater to these segments of the community. Identify potential gaps in the current ecosystem and propose opportunities to improve ecosystem coordination. Looking at Chicago today, we found continued evidence of a supportive environment for small businesses. Over the most recent five year period there was year-over-year growth in nearly all types of small business financing activity, including debt, equity, and grant capital. Moreover, our research included a representative scan of more than 135 business service organizations and over 70 unique capital providers that are active in the Chicago SMB market. Specifically for businesses owned by women and people of color, which tend to be earlier stage, we identified several gaps in the market where the availability of capital and other resources is not always well aligned to their reported needs. We found a specific debt capital gap in the $50,000-$250,000 range and a desire for increased grant/equity-like products that could support startup activity for Black and Latinx entrepreneurs who report limited availability of friends and family funding. Create standards for ensuring business services are of high quality: ensure services are culturally competent, aligned to business needs and confirmed with customer feedback, consistent with the latest and most accurate approaches (e.g., meets industry standards for accounting, incorporates most effective marketing tactics), among others. Outcome-based funding from City/philanthropic funders: establish mechanisms that increase or drive funding to organizations focused on programming ‘outcomes’ (e.g., change in business revenue over time) versus solely ‘inputs’ (e.g., number of workshop attendees), in order to encourage and guide BSOs toward the most effective service delivery. Develop strategies for curating and focusing business services, funding and other economic development strategies for selected industries: this working group would collaborate with the other two to inform strategies for new product development or service delivery, providing specific expertise on how these strategies could best support targeted industry clusters. Develop more flexible debt products: identify opportunities for creating debt products that have greater flexibility in their credit underwriting criteria. Create more philanthropic capital for equity investments: identify opportunities for providing more philanthropic capital directly to SMBs, with considerations around pairing this capital with advice and investing in certain demographics (e.g., people of color and women business owners).